Mumbai: ‘Golmaal’ has always been a franchise to reckon with, and the Rohit Shetty films have stood the test of time, generating a generous fan following amid Indian film fans. 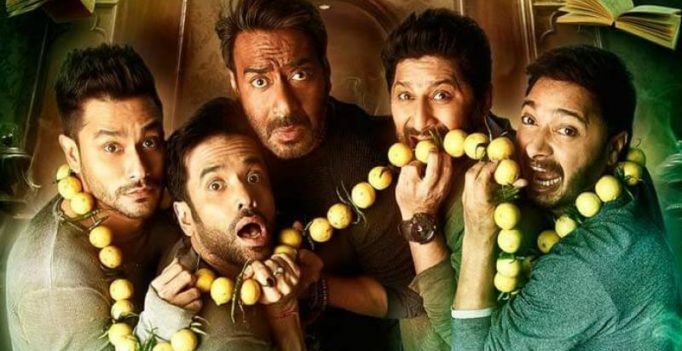 The fourth instalment, ‘Golmaal Again,’ biggest of the lot, has lived up to the expectations, garnering decent critical acclaim as well as excellent box-office numbers. The film has become the first Bollywood film of 2017 to gross 200 crore rupees approximately at the domestic box office. Though the Hindi dubbed version of Baahubali: The Conclusion earned almost double the figures, the Ajay Devgn-Arshad Warsi starrer has been the only one to hit the magic numbers, in Bollywood. Despite releasing with Aamir Khan’s ‘Secret Superstar,’ the film has a near monopolic reign at the box-office, registering the biggest hit of Ajay Devgn’s career. Also starring Parineeti Chopra, Tabu, Niel Nitin Mukesh, Tusshar Kapoor, Shreyas Talpade and Kunal Khemu, the film, a horror-comedy, worked wonders with the Diwali audience. It remains to be seen if Sanjay Leela Bhansali’s ‘Padmavati’ and Salman Khan’s ‘Tiger Zinda Hai’ manage to break this record. Every condom has 350 small hexagons on its latex surface which help in effective performance. (Photo: LELO) Here is some good news for the condom….